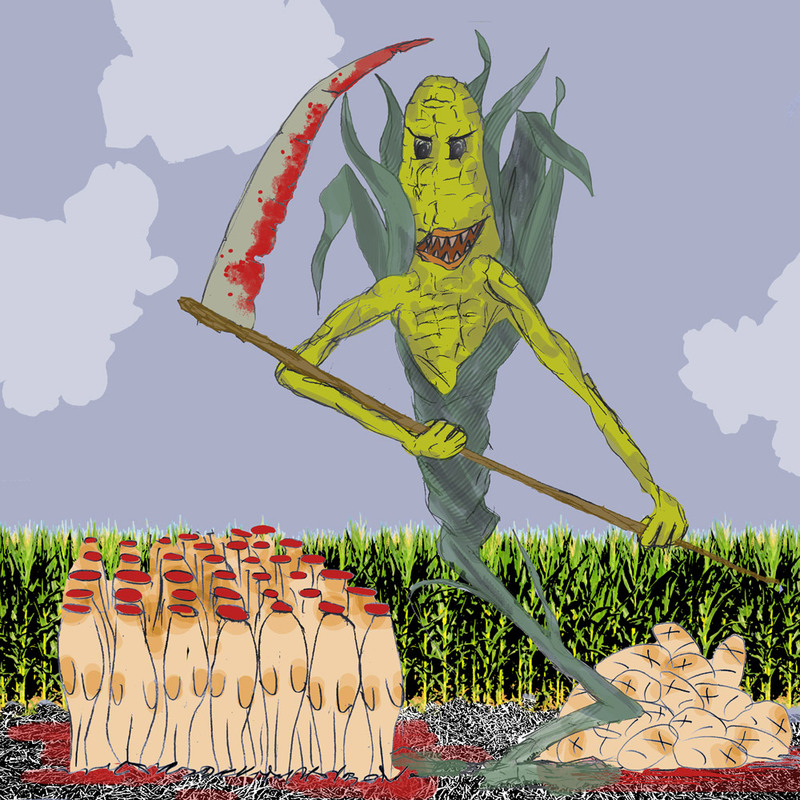 Photo provided by Black Rabbit Bistro. 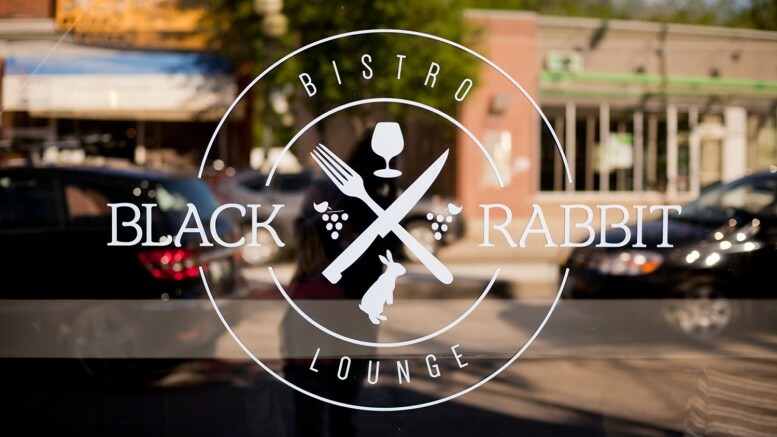 Located at 135 Osborne St., Black Rabbit Bistro has taken the place of the formerly well-known Bistrot by Basil and transformed it into a budding hub on one of the most culturally saturated streets in Winnipeg. Black-clad waitresses in unique self-designed uniforms with welcoming smiles fill the busy restaurant and lounge. The owners of Bistro 7¼ on south Osborne were approached with a location to start a new project and to their surprise, that location was the abandoned restaurant on the corner of Osborne and Stradbrook Ave.
Co-owner Jay Leslie reached out to Jarrett Connery, a friend and former business partner, and together they began creating their vision. They acquired the building in November 2014 and from there, they spent the next four to five months creating the Black Rabbit. Since the building had been unused for quite some time, it required a top-to-bottom dust-off. The existing brick and wood was already a perfect foundation to create a beautiful space that had a cozy feel to it – all it required was some polishing. After refinishing the bar and floors, adding new light fixtures and incorporating local art into the space, they prepared to open in April 2015. Designed with a variety of small plates, Black Rabbit tries to create a congregation over food. The menu is set to change seasonally, but there are some Black Rabbit mainstays that I sampled. I tried two small plates and their most popular signature cocktail, the “Lady Grey sour,” which features rye, Earl Grey syrup, egg white, lemon juice, and black pepper. First up was the ricotta gnocchi with peas, smoked ham, oven-roasted tomatoes, and a slow-poached egg. The combination of the sweetness of the tomatoes, the saltiness of the ham and the buttery consistency of the egg yolk is both texturally appealing and absolutely delicious. The second dish I sampled was the pork belly with apple-fennel slaw and fig balsamic. The pork belly was very fatty, but not at all greasy. This provided a soft texture and a ton of flavour without making me feel bloated. The pairing with the slaw was the perfect opposite, with a lot of crunch and a light, milder flavour; it was hard to distinguish individual flavours, but it went very well together and the hint of fennel was perfect. The price points are fair for the quality and taste of the food. Going with a group of friends and having a few of these small plates on the table over a drink is affordable, and also leaves you feeling like you haven’t eaten fake processed foods or left a large dent in your bank account. Business has been going well since the restaurant’s spring opening. By creating a community with the surrounding restaurants, Black Rabbit has been doing its part to ensure that Winnipeg’s food culture thrives. “We have one of the best patios in the city and Winnipeggers love their patios,” Leslie said. Besides catering to the needs of a hot Winnipeg summer, Leslie told the Manitoban that Black Rabbit encourages people to not only enjoy their restaurant, but the surrounding businesses as well. Black Rabbit is becoming the perfect foundation for a thriving business. Already, reservations are recommended for Friday and Saturday because they have become quite busy and their Sunday brunch is gaining popularity. If you haven’t checked out Black Rabbit yet, grab a couple friends and foodies for some small plates and drinks over live music. With great food, live entertainment, and a warm atmosphere from the décor and the down-to-earth staff, all located in the heart of Osborne Village, you can’t go wrong. For more information about Black Rabbit Bistro, check out www.blackrabbit.menu.